Thank you very much for making our wedding great. 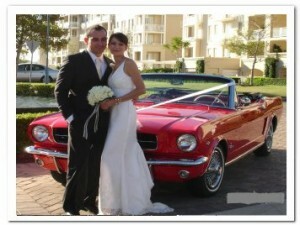 Your service was wonderful and your cars looked beautiful. We will be happy to recommend your business to everyone. Thank You very much Peter and Franca for your professionalism, attention to detail and wonderful service in supplying us with such gorgeous wedding car for our Special Day. 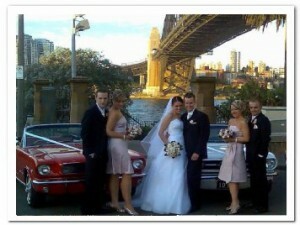 I would not hesitate in recommending Sydney Mustangs for anyone needing wedding cars for there Special day.